Are you planning an event in which you require a speaker on the subject of "accessible web design"? Are you looking for a competent discussion partner, e.g. for a panel discussion? Get in touch with me and let's speak about your plans. Please find to follow a few links leading to selected lectures that I gave in recent years. Most of the presentations here are in German. You can download the slides of my presentation Die europäische Richtlinie 2102 und barrierefreie Dokumente as a PDF. You can download the slides of my presentation Inclusive Design — beyond webstandards as a PDF. You can download the slides of my presentation Barrierefreies Internet as a PDF. The event "Barrierefreies Arbeiten — Die Tagung" is documented online. You can download the slides of my presentation Textinformationen sehbehindertengerecht gestalten — Einführung in barrierefreies Web as a PDF. The event "Insidrrr Day 03" is documented online. You can download the slides of my presentation Barrierefreiheit im Fokus — #a11y — Die digitale Rollstuhlrampe as a PDF. The event "Besser Online 2012" is documented online. You can download the slides of my presentation Barrierefrei Kommunizieren — im Erzähl-Café mit Andreas K. Bittner (DJV) as a PDF. You can download the slides of my presentation Maßstab für barrierefreies Webdesign: WCAG 2.0 as a PDF. The event "webEdition Benutzer Konferenz" is documented online. You can download the slides of my presentation Herausforderung Barrierefreiheit — Die ATAG 2.0 kommt as a PDF. The event "Langer Donnerstag" is documented online. You can download the slides of my presentation Basales Handwerk: zugängliche und nutzbare Webseiten — Grundlagen und Beispiele für barrierefreies Webdesign as a PDF. You can download the slides of my presentation Grundlage und Folge des barrierefreien Webdesigns as a PDF. You can download the slides of my presentation WCAG20 und BITV 2.0 as a PDF. The event "DAISY 2009 - Barrierefreie Aufbereitung von Dokumenten" is documented online. You can download the slides of my presentation Neue Standards des W3C — WCAG 2.0, HTML 5 und WAI-ARIA as a PDF. The event "World Usability Day 2008" is documented online. You can download the slides of my presentation Barrierefreiheit - Usability ohne Maus und ohne Bildschirm as a PDF. The event "Mehr Wert für Alle 2008" is documented online. You can download the slides of my presentation Testen der Barrierefreiheit as a PDF. The event "Einfach für Alle - Konzepte und Zukunftsbilder für ein barrierefreies Internet" is documented online. You can download the slides of my presentation Breaking down the barriers — Design for accessibility as a PDF. 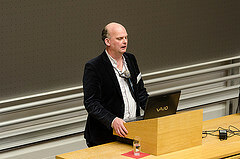 The event "<A-Tag> 07: Barrierefreie Medien" is documented online. You can download the slides of my presentation Goldene Biene bei deutschen E-Government-Sites as a PDF. The event "Best of Accessibility 2007" is documented online. You can download the slides of my presentation Tipps und Tricks der BIENE-Gewinner as a PDF. You can download the slides of my presentation Barrierefreies Wissen as a PDF. The event "Fachtag Web site Relaunch - Mehr Reichweite, Kundenbindung und Wertschöpfung" is documented online. You can download the slides of my presentation Barrierefreies Webdesign — Web sites für alle User as a PDF. You can download the slides of my presentation Accessibility essentials and management as a PDF. You can download the slides of my presentation Fehlervermeidung bei der Umsetzung der Barrierefreiheit as a PDF. 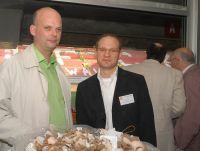 The event "Webkongress Erlangen 2006" is documented online. You can download the slides of my presentation Tipps und Tricks der BIENE-Gewinner as a PDF. 3. Juli 2006 in Hannover Niedersachsen - eine BITV-freie Zone? You can download the slides of my presentation Kosten-/Nutzen-Aspekte barrierefreien Webdesigns as a PDF. 27. Mai 2006 in Berlin BesserOnline 2006: Fast food oder Vollwertkost? The event "BesserOnline 2006: Fast food oder Vollwertkost?" is documented online. 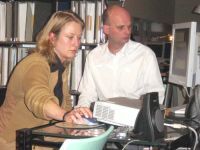 The event "MAI-Tagung 2006 — Museums and the Internet" is documented online. You can download the slides of my presentation Sind PDF wirklich notwendig? as a PDF. The event "Mehr Wert für Alle 2006" is documented online. You can download the slides of my presentation Mit gutem Beispiel voran: Erfahrungen aus der Blinden- und Sehbehindertenselbsthilfe as a PDF. The event "Mehr Wert für Alle 2005" is documented online. The event "Barrierefreie Websites - Von den Vorgaben zur Umsetzung" is documented online. You can download the slides of my presentation Die Anforderungen des Behindertengleichstellungsgesetzes (BGG) und der BITV an die Barrierefreiheit as a PDF. The event "DMMK 2004" is documented online. The event "Forum Barrierefreies Internet - Chance für E-Commerce & E-Government" is documented online. You can download the slides of my presentation Diskussionsveranstaltung — Barrierefreie Webtechnologie as a PDF.